The Alliance Stand-Aid Patient Lift - 400 lb is a transport assist unit which keeps residents active and engaged in the lifting process. The Alliance Stand-Aid Patient Lift - 400 lb is a transport assist unit which keeps residents active and engaged in the lifting process. Transport is quick and requires minimal caregiver assistance. Users simply grasp the middle bar and pull themselves up. A padded split seat swings out for loading or unloading then swings back to form a comfortable, secure seat for transport. It is an excellent alternative to a wheelchair for easier commode access. If a wider base to accommodate chairs is required, consider model 1913 Alliance Lift Stand Aid - 450 lb. 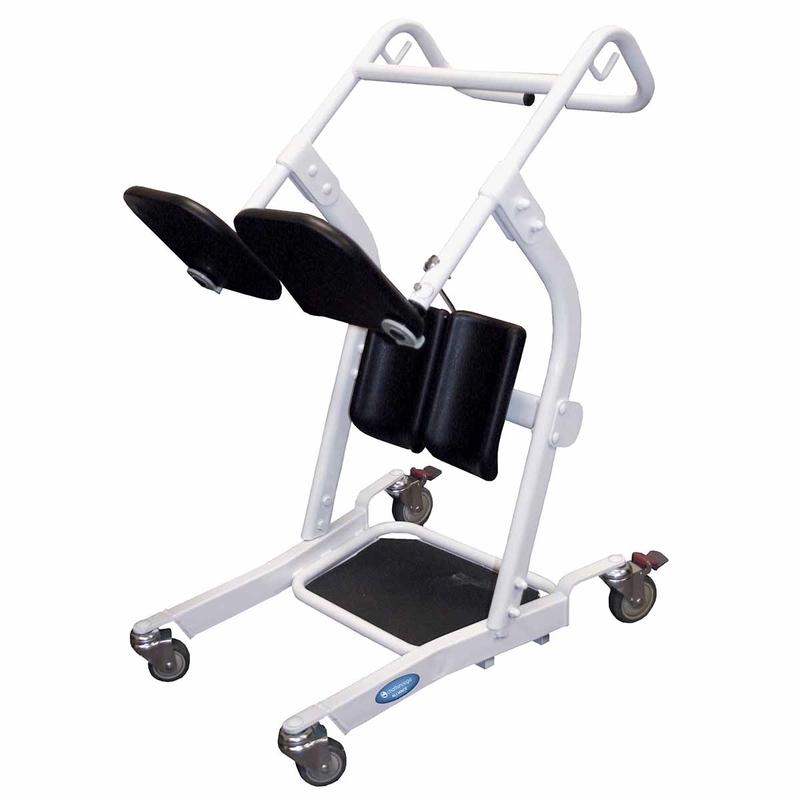 Note: Alliance Stand Aid is designed for residents who have the strength and stability to lift and support themselves. Otherwise, an Alliance electric Stand-Assist Patient Lift is recommended. The 19517 Safety Belt is recommended for additional security while transporting a patient.